CSL is a leadingStainless Steel Round Bar & Rod Supplier. Our inventory inStainless Steel Round Barranges from 1/8” to 24” in diameter. We are the industry leader in long length bar with inventory ranging from 20’-24’ R/L. This means we’re able to provideSS materialfor projects requiring lengths longer than the industry standard 12’ lengths. The long lengths also provide flexibility for part lengths that would typically leave excess scrap from the standard 12’ lengths. We also offer a variety of otherbar stock shapes. 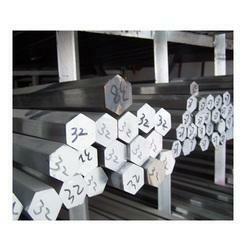 We Cromonimet Steel Ltd, are one of the Leading, manufactures suppliers of 316/316L Stainless Steel Hexagonal Bar. Cromonimet is a quality focused organization, engaged in offering a broad assortment of Hex and Square Stainless Steel Bars. Our provided steel bar is accessible in as various customized options other specifications as per the needs of customers. Offered steel bar is manufactured from the optimum quality material contemporary techniques. Furthermore, this steel bar is used for connectors, couplings, manifolds, plugs, hose ends, nuts bolts. We offer Duplex and Super Duplex Filler Wires in different type of thickness, specification, grades and dimensions. We make welding consumables such as MIG filler wire, Submerged AC Wire, Core wire and TIG filler wire for welding electrodes as per EN and AWS standards. These Wires can also be customized relating to their size and thickness as per clients requirements. Since the inception, we are exporting and trading Austenitic Stainless Steel Grades. We offer according to standard and custom made form according to the needs and requirements of the clients. Our company also offers in various forms such as Tubes, Flanges, Sheets & Plates and Pipes. RAM 303 contains 0.30% minimum sulfur for enhanced machinability, substantially higher than the 0.15% minimum required by ASTM. 304 is the original "18-8" stainless. It is produced in greater quantity than any other austenitic stainless steel. 304 provides useful resistance to corrosion in many environments ranging from moderately reducing to moderately oxidizing. Through the controlled addition of nitrogen, it is common for 304L to meet the mechanical properties of 304 straight grade. As a result, most products are dual certified as 304 and 304/304L. 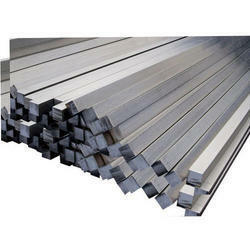 Cromonimet is one of the leading manufacturers, suppliers and exporters of Stainless Steel Hexagon Bar. 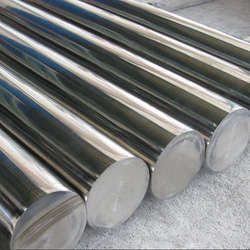 Stainless steel round bar is generally sold in the annealed condition, although some grades such as 17-4 or certain 400 series grades may be hardened by heat-treating. The standard length for most size round bars is 12’-14’ random lengths, but lengths are available in some sizes up to 20’ and longer. Finishes on bars can vary and include cold drawn, centerless ground, smooth turned, rough turned, turned ground and polished, and HRAP. • 304/304L, 316/316L, 302, 303, 309, 310, 321, 330, 347, 410, 416, 430, 600, 625, 718,15-5, 17- 4, 17-7, A286, 2205 and more! 304/304L, 316/316L, 302, 303, 309, 310, 321, 330, 347, 410, 416, 430, 600, 625, 718,15-5, 17- 4, 17-7, A286, 2205 and more! 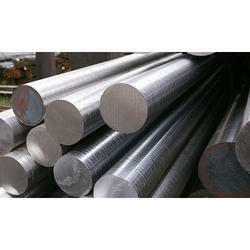 Cromonimet is counted among prominent Stainless Steel Bar Suppliers in India. We offer our customers various kinds of Stainless Steel Bars to suit different applications. Our various kinds of Stainless Steel Bars include Stainless Steel Round Bars, Stainless Steel Bright Round Bars, and Stainless Steel Forged Round Bars. 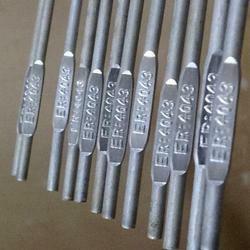 We are offering high grade Stainless Steel Bars in India. The Stainless Steel Bars, available with us, are rust resistant and highly durable. Thus, these Stainless Steel Bars are suitable for a number of applications in diverse industries. 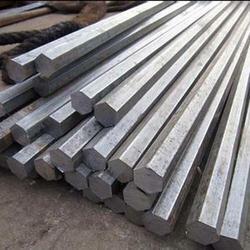 Being a reputed Supplier of Stainless Steel Bars in India, we assure that the best quality products reach the clients. 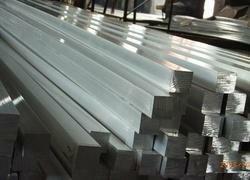 We provide to our customers with high quality Stainless Steel Bright Round Bars. These are prepared from superior quality raw material. We provide them as per client’s varied requirements and specifications. •Grade : AISI201, AISI 202, AISI301, AISI302, AISI303, AISI304, AISI304L, AISI309,AISI310, AISI316, AISI316L, AISI321, AISI347, AISI410, AISI420, AISI430, AISI430FR, AISI431, AISI630, 15-5pH, 17-4pH. 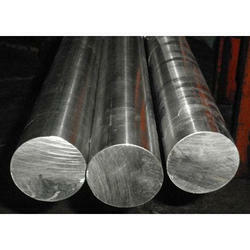 We provide our customers with premium quality Stainless Steel Forged Round Bars. Some of the unique selling points of these Stainless Steel Forged Round Bars are high strength, corrosion resistance, and durability. We provide high quality and high performance Stainless Steel Peeled Round Bars. We source them from reliable vendors. They are known for their high strength, fine finish and long durability. 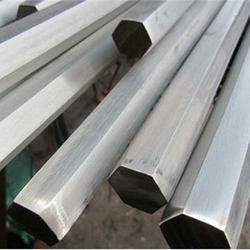 Cromonimet Steel Ltd, is one of the leading manufacturers of 304L Stainless Steel Hexagonal Bar. Cromonimet provide high quality and high performance Stainless Steel Peeled Round Bars. We source them from reliable vendors. They are known for their high strength, fine finish and long durability. Cromonimet Steel is trusted manufacturer and exporter of Stainless Steel Bars, which are precisely designed by experienced engineers. The huge popularity of our Stainless Steel Bars has made us the most celebrated Manufacturer and Exporter of Stainless Steel Bars. Attributes : Fabricated from premium quality steel High tensile strength Non-corrosive Required low maintenance Compact design Applications : Chemicals Industry Fertilizers Industry Petrochemical Plants Paper Mills Cement Plants Sugar Mill Fabrication Units 304 Stainless Steel Square Rods Product Details: Minimum Order Quantity 1 Kilogram Application Manufacturing Single Piece Length 3 meter, 6 meter Encouraged by a group of exceedingly accomplished experts, we can manufacture, trade and supply perfect quality 304 Stainless Steel Square Rods. The offered range is exactly designed and is made utilizing the finest evaluation basic stuff and advanced innovation. Notwithstanding this, our quality controllers lead an arrangement of tests on different parameters to guarantee their perfection. We offer these square rods at most reasonable costs. Feature: Safe to use Strongly built Wear resistance Specifications: Stainless Steel: ASTM A 409, A 182, A276 Grade: 304, 304L, 304H, 316, 316L, 316Ti, 321, 321H, 317, 317L, 310, 310 Stainless Steel 316 Square Bar Product Details: Minimum Order Quantity 1 Kilogram Material Stainless Steel Type Square Color Silver Dimensions 2mm-30mm Brand Steel House India We are offering Stainless Steel 316 Square Bar to our client. Cromonimet offer a wide range of Stainless Steel Bars, which is known in the domestic and global markets for its quality. Sourced from the notable manufacturers, our Stainless Steel Bars are highly demanded by clients due to their availability for application specific dimensions, finishes and sizes. Cromonimet Steel Ltd is one of the leading manufacturers, suppliers and exporters of 304/304L/304H Stainless Steel Hexagonal Bar. 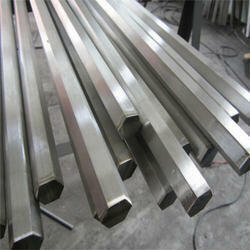 Cromonimet Steel Ltd, is one of the leading manufacturers of 310 Stainless Steel Hexagonal Bar. Size: 2 to 120 mm. Material: Stainless Steel: 304, 304L, 316, 316L, 316TI, 32, 347, 317, 317L, 410, 420, 416, 431, 440C etc. Alloy Steel: F-5, F-9, F-11, F-22, F-91 etc. Application: Machined Components, Pumps Shafts Valves, Fasteners, Machine Tools Dairy Equipment Surgicals Medicals Ports Threaded Bars, Studs, Bolts, Pins, Hinges and Handles. We are offering Er 317L Stainless Steel Filler Wires to our client. ER347SI is a columbium stabilized stainless steel welding wire used to weld Types 321 and 347. Addition of columbium reduces the possibility of chromium carbide precipitation and consequent inter-granular corrosion. ER347SI is recommended if the weld metal is to be subjected to high temperatures above 750ºF. Data is typical for ER347SI weld metal deposited by Tig using 100% Argon as the shielding gas. Stainless steel bars: round bars, hexagonal bars, square steel, flat steel, hexagonal steel , round steel, solid bar. 303Cu stainless steel bar is a stainless steel adding copper and containing sulfur and selenium. it is mainly used for high cutting and surface finish requirements. 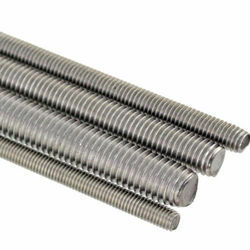 303 Cu stainless steel bars are Ideal for automatic lathes screw and mut. more than 0.60% molybdenum is add in steel , so it can be ablative, easy cutting and corroded. Adding Cu element and a small amount ofsulfur, phosphorus makes it easier cutted than the 304, and other properties similar to 304 stainless steel bars, but the corrosion resistance is not so good as 304. 303Cu stainless steel bars apply to petroleum, electronics, chemical, pharmaceutical, textile, food, machinery, construction, nuclear power, aerospace, military and other industries. MQ:ISO9001: 2008 quality management system certification, production license. Cromonimet is engaged in Industrial supplies can offer wide range of Welding, Rods, Electrodes Wires from ready stock or on make to order basis are currently supplying to UK, Iran(Tehran), Saudi Arabia, Spain, Bahrain, Nigeria, Dubai, Egypt, Malaysia, etc. various steel products such as Angles, Channels, Beams, Billets, Blooms, Round Bars, Square Bars, Rectangular Bars, Flat Bars, Forged Bars, Rolled Bars, Concast Bars, Pipe Flanges, Elbow, Tee, Reducer, Cross, Stub End, End Caps, Forged Stampings, Pipes, Tube, Tubing, Fasteners, Bolts, Nuts, Washers, Screws, Studs, Plates, Sheets, Coil, etc. The welding rod is the piece of wire connected to the welding machine. A current is fed through this wire, which helps to join two pieces of metal together firmly. In certain cases – namely SMAW and stick welders – the wires actually melt, becoming part of the weld itself. These welding rods are referred to as consumable electrodes. For TIG welding, the welding rods do not melt, so are called non-consumable electrodes. Welding rods are usually coated, although the materials that make up this coating can vary widely. Bare electrodes (those made without any additional coatings) are also available, although they’re much less common. These are used for certain specific jobs, such as welding manganese steel. It is important to choose the right type of welding rod for your job in order to create clean, strong welds with excellent bead quality. Stick welders usually use consumable welding rods, which will be referred to as stick electrodes here. These include light coated electrodes, as well as shielded arc or heavy coated electrodes. Ador Welding Electrodes, Alloy Electrode, Aluminium Welding Wire, Arc Welding Electrodes, Brass Brazing Rods, Brass Welding Rods, Brazing Rods, Brazing Wire, Carbon Electrode, Cast Iron Electrode, Casting Electrodes, CO2 Mig Welding Wire, Copper Brazing Rods, Copper Welding Rods, ESAB Hardfacing Rods, ESAB TIG Welding Rods, ESAB Welding Electrodes, ESAB Welding Wires, Flux Cored Wire, Hardfacing Rods, Low Hydrogen Electrode, MAG Welding Wire, MIG Welding Wire, MIG Wire, Mild Steel Welding Electrode, Mild Steel Welding Rod, Non Machinable Electrodes, Saw Welding Wires, Stainless Steel Electrodes, Stainless Steel Flux Cored Welding Wire, Stainless Steel MIG Welding Wire, Stainless Steel TIG Filler Rod, Stainless Steel Welding Electrodes, Stainless Steel Welding Rod, Stainless Steel Welding Wire, Tig Welding Wire, Tungsten Electrodes, Welding Electrodes, Welding Rods, Welding Wires, etc. We stock, supply, export, wholesale Welding, Rods, Electrodes Wires which are used in applications of Engineering, Construction, Oil Field, Offshore, Shipbuilding, Nuclear Projects, Marine Projects, Medical, Instrumentation, etc. We can supply smaller quantities of Welding, Rods, Electrodes Wires from our associated manufacturing unit in India. If any requirements for Welding, Rods, Electrodes Wires kindly do contact us. Under the expert supervision of our skilled personnel, we are providing a high quality Stainless Steel Wire. These wires are known for its high tensile strength and corrosion resistance. The offered wires are manufactured utilizing fine quality material in accordance with set standards. We offer the entire range of wires in varied specifications. Customers can avail these wires from us at nominal prices. Cromonimet steel ltd its product line in uns s32900 to meet the emerging customer needs, and whereas cromonimet steel ltd. Is iso 9001 : 2008 certified, csl has a great projects in this grade in all parts of the world with renowned suppliers presenting the wide range of services. We pride ourselves in the quality of our products, our competitive pricing and our exceptional customer service. We have been recognized for our outstanding customer service in satisfaction surveys of top- ranked mills in india and all over the world. Csl, with iron and steel as its main business, manufactures premium steel products with high technologies and a high added value and fosters three major product categories, namely carbon steel, stainless steel and special steel. Through our worldwide marketing network,these premium proudcts not only satisfy the demand on the domestic market but are also exported to more than forty countries and regions in asia, africa, europaand america, extensively applied to various. We are a highly qualified by our customers worldwide as a sustainable and trustwothy to meet their requestand need at the right time and the right time and the right area. We strive and stand commited to maintain this respectable position by catering to the requirements of our customers in the best possible way leaving no room for complaints. 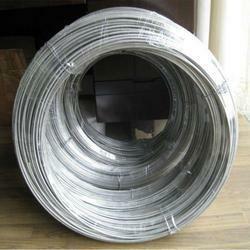 Cromonimet Steel Ltd is one of the leading manufactures & suppliers of Stainless Steel Binding Wire. 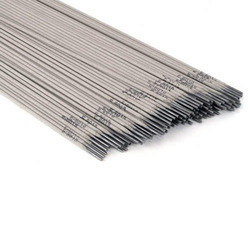 Everbright Industrial Wire Manufactory can supply binding wire for steel bar reinforcement in construction, made of quality low carbon steel wire, through the processing of wire drawing and galvanizing. 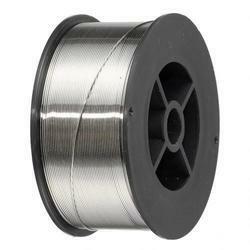 Sizes: Binding wire is supplied in different wire diameters to meet different uses. Advantages: Good corrosion resistance, long service life, economic cost and bright outlook. Application: Binding materials in construction, agriculture and fencing. 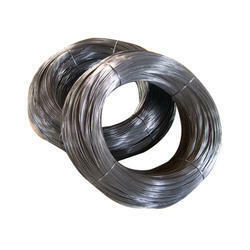 We are Leading Manufacturer of TIG Welding Wire. Being the most respected organization guided by experienced and knowledgeable professionals, we are offering a fine quality Stainless Steel Bars,used in various industries such as chemicals dyeing, sugar and other industries across the globe. This tube is manufactured by our renowned professionals using fine quality stainless steel and latest technology. Our provided tube is passed through a series of tests on various parameters. Our offered tube is available in various sizes, grades and other related options. Annealed/Solution Annealed. Hardened Tempered., Strain Hardened., Center less Ground., Center less Ground Polished., Cold Drawn., Smooth Turned Polished., Forged Rough Turned., Buffed (Mirror finish). 100% Ultrasonically tested. Cromonimet provide our clients a fine quality SS Hexagonal Bar that is extensively used in various assemblies.Our offered hex bar is manufactured using the finest quality of stainless steel and cutting-edge technology by our professionals. Our provided hex bar is widely demanded by various refineries and thermal nuclear power plants. Apart from this, it is rigorously tested on various quality parameters under the supervision of quality experts. Our renowned clients can avail this range at market-leading prices. Cromonimset Steel Ltd : These rods are manufactured with threads throughout their length up to a maximum length of 3 meters. These rods are highly robust, resistant to corrosion and are made from materials of the highest quality and standard. These rods are mainly used in construction of towers, high rise buildings, skyscrapers etc. 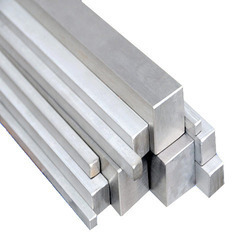 Cromonimet is offering an excellent range of Stainless Steel Square Bar to our clients. Our provided square bar is manufactured using high grade stainless steel under the guidance of quality controllers. Cromonimet Steel Ltd has an extensive range of types and diameters of Stainless Steel Mig Welding Wire to suit your welding applications. Our wires are carefully controlled with metallurgy and surface finish which ensures high quality welds and reliable wire feeding. Our Mig wires are most popular in applications where robots are used and also in jobs where continuous welding through machines. In all the applications of STAINLESS STEEL MIG WIRES, Anand Arc wire has the best weld quality and acceptance. 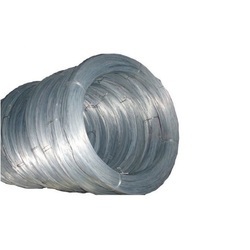 Anand Arc Stainless Steel Mig wires are manufactured as per the INTERNATIONAL STANDARDS like AWS, DIN, EN, JIS, BS, also we do manufacture as per Customized requirements. We are a widely acclaimed organization engaged in manufacturing, supplying and exporting a wide range of Industrial Filler Wires. Cromonimet entire range is designed and fabricated using premium grade material and defined industry standards. These wires are most commonly used for meeting needs of welding applications. Resistant against corrosion & abrasion, porosity free design and longer functional life are the salient features of our range. 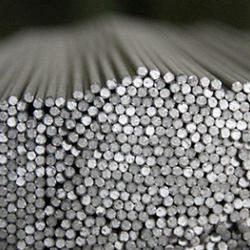 CROMONIMET isLargest Supplier and Stockist of Stainless Steel Wire Rods. We are engaged in offering our clients a wide array of Stainless Steel Wire & Rods. These wire rod is used the construction of Trolleys, Centrifugal Baskets, etc. Ourproducts are made available to our large clientele at very reasonable prices. Specifications :good quality and competitive price Stainless steel square bar the same quality with lower price and professional service fast delivery and stable supply. 2. Speciality: Cold drawn,hot rolled,forged,peeled. 7. Use: These products are widely supplied to areas of machine-made industry,chemical industry,spin,shipping industry,architecture,food industry,household products etc. We have achieved a distinct position in the market by providing Titanium Rod. 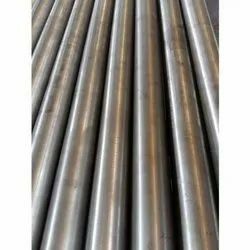 The offered titanium rod is manufactured under the guidance of skilled experts by utilizing finest quality titanium with the help of advanced tools and techniques. This titanium rod is mainly employed in chemical, aviation, military and healthcare industry for various applications. 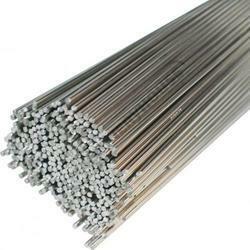 Our offered titanium rod can be availed from us in various specifications as per the customer’s requirements. For corrosion resistant in the chemical and offshore industries, in aircraft construction where a certain strength level and ease of form-ability is desired. Also used in heat exchangers, hypochlorite systems, fire water systems, ballast water systems, risers, fittings, fasteners, forgings, pumps, valves. Axis machining, standard part, electroplating equipment, Medical, conductive material,industry etc. Test: Provide Bao Ti Center Physical and Chemical Test Reporter Northwest Institute For Non -ferrous Metal Research Test Report. BT1-00, BT1-0, BT-5, BT-6, BT3-1, OT4-1, OT4-2, OT4-3, etc. ASTMB348, ASTMF136, ASTMF67, ASTMB381, etc. As a reowned, Cromonimet Steel Ltd is offering an immense range of Stainless Steel 316Ti Round Bars (SS 316Ti Round Bars) as a maker, exporter, stockiest and providing wide range to PAN India & worldwide customers. Stainless Steel 316Ti Bars (SS 316Ti Bars) are utilized as a part of a few enterprises, for example, Brewing, Chemical Industry, Dairy, Food handling, Marine hardware, Petrochemicals, Pharmaceuticals, and that's just the beginning. Cromonimet's Stainless Steel 316Ti Rods (SS 316Ti Rods) are additionally utilized for a few applications, for example, in Condensers, Heat Exchangers, Filters, et cetera. As for national and universal nature of raw materials, we likewise offer these UNS S31635 Round Bars (otherwise called WNR 1.4571 Bars) in modified sizes and thicknesses according to particular requests by our regarded customers at showcase driving costs. Below you will find typical applications of 17-4 PH stainless steel as well as the metals composition and mechanical properties. Learn more about or value added services that we offer to help you expedite the current job you have at hand. Best Stainless offers high quality standards including: UNS S17400, AMS 5643, ASTM A564, and ASTM A693 Grade 630. 17-4 PH stainless steel can be used for a variety of applications including: pump shafts, oil path, mechanical seals, and within the aerospace industry. Its composition is carbon, chromium, columbian tantalum, copper, manganese, nickel, phosphorous, silicon, and sulfur. Looking for Stainless Steel 304 Export Finish Round Bar ?